RUGBY NEWS - Ireland have to pull themselves together after the defeat by England and get into the mindset they can beat Scotland next Saturday to keep alive hopes of retaining their Six Nations title, head coach Joe Schmidt said. The 53-year-old New Zealander has to rouse his side for the daunting trip to Murrayfield after they were soundly beaten 32-20 by a resurgent England. Schmidt, who experienced his first Six Nations home defeat since taking over the reins following the 2013 edition, said preparation this week would be as much about rebuilding bruised morale than anything else. "It is a mental challenge," he said. "There are a lot of guys hurting at the moment and they will be looking for a way back in and I think the only way back in is to roll our sleeves up, show that resilience mentally that we are going to be have to be able to demonstrate next Saturday." Schmidt, whose decision to play centre Robbie Henshaw out of position at fullback instead of the fit again but ring-rusty Rob Kearney did not pay off, said his players needed to change their attitude to how they approached the England game. 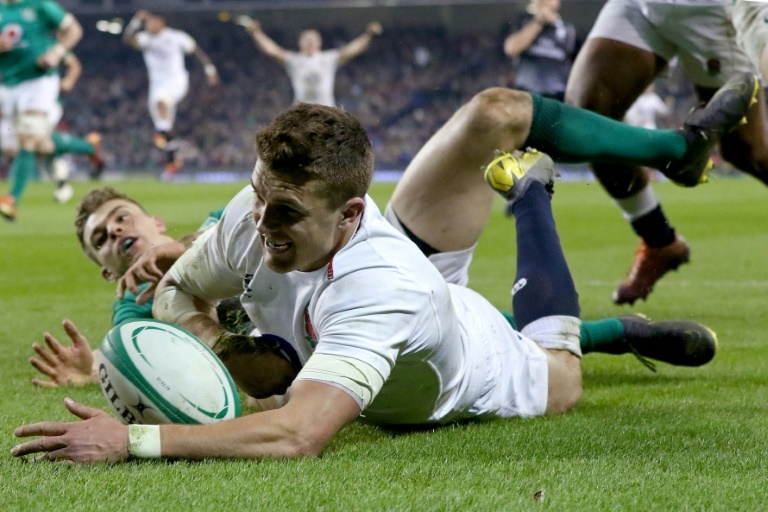 The Irish had gone into the game with two successive wins over England - one in 2017 denying their opponents back to back Grand Slams and last year clinching their own Grand Slam at Twickenham. "As I have said we are human and there are times that human beings without ever being complacent, if you assume anything in this world of high performance sport, assumption will undo you," he said. "We couldn't assume we could rock up and just deliver a performance that they (England) would accept. "They accepted nothing from us and gave us as little as possible and that’s a credit to them." Schmidt, who has turned Ireland round from a demoralised squad when he took over into one capable of beating world champions New Zealand twice, said victory next Saturday would put them back on track in what is his final Six Nations tournament as he steps down after the World Cup later this year. "I like to think that we can demonstrate we can take a step up next week and, beyond that, we can demonstrate how we can get back into the tournament because it is a very tough championship," he said. "If you are a little bit off the mark, any team can knock any team over. Even for us, the last time we went to Murrayfield, we did not get off the bus and we were 21-5 down at half-time. “On the back of that experience, we ended up beating England at the end of that Six Nations and getting second." Schmidt said the panic button should not be pressed yet. "I think it would be a little bit of a knee-jerk reaction to believe, on the back of one poor performance, we've suddenly lost all the progress and all the confidence we've tried to build over the last number of years," said Schmidt, whose side had won 18 of their previous 19 Tests prior to the England defeat. One of the major disappointments was the ineffective display of their world class half-back partnership of Sexton and scrum-half Conor Murray. However, Schmidt said allowances should be made for both of them on what was the 50th time at Test level - including two British & Irish Lions Tests - they had partnered each other. "Johnny hasn't played since … well he hasn’t played this calendar year so I do think there is always a need to get a little bit of rhythm into your game," he said. "Conor is still coming back from that long-term injury (he missed the November Tests as he was recovering from a neck injury)."